The airline industry has grown to meet the needs of a globalized world. The volume of air passenger traffic continues to grow, and interactions between the virtual world and tourism activities are increasing significantly. Today travelers search for post-worthy experiences and quality services, with increasingly high expectations that the industry has to meet. Industry reports are predicting strong demand for passenger travel (+6.9% in 2016, expecting to reach 3.8 billion pax) and economic growth (2.5% in 2015 to 2.7% in 2016 ). This setting is advantageous for both air transport and air travel related passenger services. Airlines must be ready to take full advantage of sales opportunities these amenities bring to the market. The past five years have seen the online environment become the preferred and influential choice for travel customers searching and looking to book their trips. This also has enabled growing ancillary and optional services revenues which are a major contributor to airlines earnings and commercial success. Ancillary revenue contributed $31.5 billion in 2014, with a projected increase of $59.2 billion in 2015 (7.8% of the global revenue of $763 billion). These numbers were generated by service activities such as onboard sales, checked baggage, premium seat assignments, early boarding benefits, commissions earned of services and frequent flyer miles program partners. IATA forecasts that airlines will post a net profit of $36.3 billion in 2016 . Airlines must adopt best practices to take their share from this revenue pool and not only by filling seats but also offering added value services to passengers. We find that travelers have become more proficient and more technically apt, able to utilize a multitude of data sources, search dynamically for different products and services and actively seek good deals. From travel planning and research, to offer comparisons, customized itineraries, virtual payments, airport services, in flight services and destination services. Travel prosumers are growing rapidly in comparison to the last few years. With IFE expanding rapidly, further mobile leverage will include Bring Your Own Device (BYOD) for in-flight entertainment and onboard services as well as digital wallets and other payment methods. All of which opens new opportunities for airlines to excell flight & ancillary sales efforts. According to OpenJaw 2016 Insights and Predictions Report this also highly relies on the effective application of IATA’s NDC adaption that will help airlines boost the sale of ancillaries, Omnichannel retailing and a personalized shopping experience helping to build customer loyalty and encourage engagement. In order to exceed customer expectations and grow market share airlines must focus on their strategic marketing and technology investments. Those that will strengthen their online and mobile channels and branding, bring their customers a more personalized travel search and shopping experiences and ensure the airlines e-commerce platforms can underpin a competitive edge will be the ones to succeed. And for that purpose advanced travel technology solutions play a critical role in the equation. Helping airlines to control and manage its Sales Offer creation and distribution relying on its vendor partner like if it was its own technology. Flexibility and agility are essential to empowering the different facets of airline operation. This white paper serves to explain how airlines can increase their flight and ancillary revenues by using the latest innovative travel tech solutions, while embracing the full meaning of e-commerce. Airlines that flexibly define, manage and distribute their products within a customer centric personalized experience have no doubt got it right. The data presented in this white paper was aggregated from a variety of sources, including airlines, annual reports, travel associations and agencies, ANIXE and Vayant Travel Technologies, and Gulf Air’s proprietary database. Gulf Air, the national carrier of the Kingdom of Bahrain, commenced operations in 1950, becoming one of the first commercial airlines established in the Middle East. Today, Gulf Air is a major international carrier serving 43 cities in 24 countries spanning three continents. The airline operates one of the largest networks in the Middle East, with double daily flights to more than 10 regional cities, from its hub at Bahrain International Airport. Gulf Air serves all its destinations with a combination wide and narrow body fleet totaling 28 modern aircraft. Renowned for its traditional Arabian hospitality, evidenced by the airline’s signature family and business friendly products, Gulf Air is committed to being an industry leader and developing products and services that reflect the evolving needs and aspirations of its passengers. ANIXE is a modern, dynamic and purposefully agile travel technology provider, serving a broad spectrum of clients through its Hotel and Airline divisions. Resfinity Hotel is a unique modular web based solution boasting superior automation, algorithm based hotel and roomtype mapping, yield optimization, cache data generation and management, offline data exports in various formats, accelerated search & response, agency portal and much more. It servers many industry heavyweights such as FTI Group, JT and Karavel. Resfinity Air creates and maintains customized web interfaces and booking engines for the airline industry, currently serving TAP and Gulf Air. ANIXE’s is based in Wroclaw, known as the ‘Silicon Valley’ of Poland. Since being founded in 1997, ANIXE has implemented over 300 projects for airlines, global distribution systems (GDS), travel agents, tour operators and OTAs. Vayant Travel Technologies provides airfare search solutions to the travel industry and is being used by leading airlines and agencies around the world to power their core airfare pricing and shopping, direct air content distribution, shopping inspiration and retail merchandising. Vayant’s advanced, efficient and fast-to-deploy pricing & shopping platform enable airlines and online travel sellers to get closer to their customers with targeted & personalized sales, ancillary & merchandising offers - distributed & presented across multichannel platforms. Vayant solutions are today powering customers such as Austrian, Lufthansa, TAP, Swiss, Gulf Air, Brussels, Turkish Airlines, Air Europa, Kuoni, Hotelplan and Airberlin Holidays. Vayant is too an IATA Strategic partner and is offering all its solution follow- ing the NDC Standard. Gulf Air operates a customer-oriented business model that assumes constant growth and innovations to surpass customer’s expectations. The most important objective the project fulfills is having an enhanced platform that supports the airline’s drive to strengthen its online and mobile channels, adding dynamic shopping and booking capabilities to give clients a more personalized travel experience. It was a critical requirement that the new platform is available at least 99,7% with response times up to 3 seconds. The joint solution should be 100% reliable and available in real time. Another chal- lenge was to integrate it with the Redemption Booking Engine (RBE) and make it scalable for future growth. An online booking engine (B2C, RBE) should also be fully automated and seamlessly connected to a payment gateway provider. ANIXE reviewed the requirements as well as inherent risks and provided alternate handling methods to address the challenges. ANIXE and Vayant collaborated and tailored existing solutions to provide customized innovative shopping engines to improve the airline’s e-commerce website for customers booking flights and purchasing various travel add-ons. The joint solution was introduced, delivering a unified booking engine for Gulf Air, replacing three separate booking engines which historically served different categories of bookers (individual travelers, corporate travelers and loyalty scheme redemption travelers). 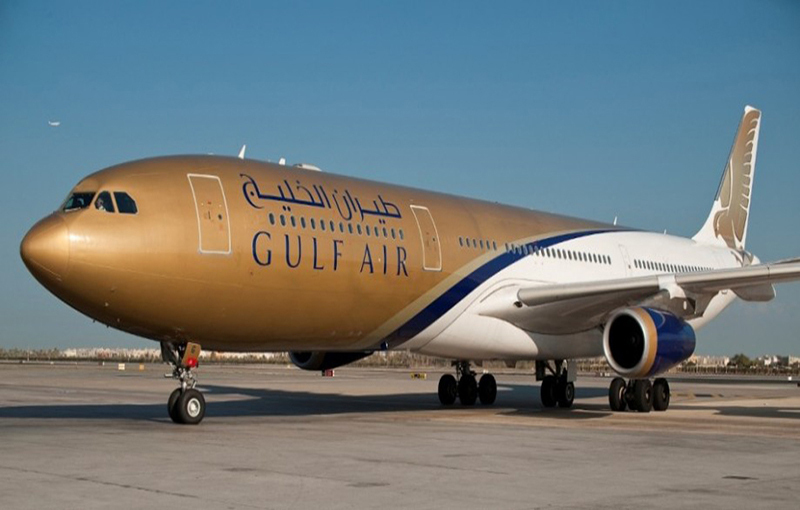 Unifying the booking engine has enabled Gulf Air to reach its online targets more cost-effectively, and with the flexibility to develop and release future solutions quickly for all categories of bookers. anixe’s IBE stands out with its advanced search capa- bilities. It allows a wide range of search possibilities to facilitate the booking process, while decreasing deci- sion making time and ultimately achieving higher booking conversion. Multi language content manage- ment enables future expansion to other source mar- kets. Optimizing response times is a thorough and painstaking process geared towards the same end goal, higher booking conversion. The anixe-Vayant solution operates independently of the host reservation system and offers fare and avail- ability searches for up to a full year across all fares and flight combinations. It is connected with Gulf Air’s current reservation system for seamless booking creation. Vayant has provided Gulf Air with a customized, personalized and NDC-enabled core technology solu- tion, to improve the airline’s E-commerce website with a new-gen booking and shopping platform. Vayant OneSearch solution - live airfare pricing and shopping engine delivers fast, accurate and compre- hensive flight offers. It uses industry standard data such as ATPCO schedules, IATA-ICer and ATPCO Loaded ancillary and optional services. The core of the engine is specifically designed to deal with ample volumes of data and real-time calculations, in line with today’s distribution environment. The Vayant core engine is extensively customizable through a dedicated business rules engine and enables the airline to set its own search and booking criteria, control price diversity and determine combin- ability. Additionally Vayant provides re-pricing capabil- ities and historical pricing functionalities. Gulf Air can now integrate its proprietary data (inven- tory, net-fares, ancillaries) into the Vayant engine. By doing so Vayant provides a search environment that gives the customer a first-rate search and shopping experience with a single query. The diversity of results can be displayed and sorted by price range, booking class and travel period, enabling the airline to unify a customized interface across all distribution channels that responds to live searches based on input parame- ters.